A comprehensive account of how energy has shaped society throughout history, from pre-agricultural foraging societies through today's fossil fuel–driven civilization. Energy is the only universal currency; it is necessary for getting anything done. The conversion of energy on Earth ranges from terra-forming forces of plate tectonics to cumulative erosive effects of raindrops. Life on Earth depends on the photosynthetic conversion of solar energy into plant biomass. Humans have come to rely on many more energy flows―ranging from fossil fuels to photovoltaic generation of electricity―for their civilized existence. 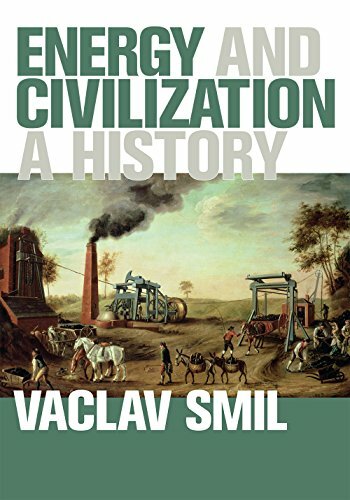 In this monumental history, Vaclav Smil provides a comprehensive account of how energy has shaped society, from pre-agricultural foraging societies through today's fossil fuel–driven civilization. Humans are the only species that can systematically harness energies outside their bodies, using the power of their intellect and an enormous variety of artifacts―from the simplest tools to internal combustion engines and nuclear reactors. The epochal transition to fossil fuels affected everything: agriculture, industry, transportation, weapons, communication, economics, urbanization, quality of life, politics, and the environment. Smil describes humanity's energy eras in panoramic and interdisciplinary fashion, offering readers a magisterial overview. This book is an extensively updated and expanded version of Smil's Energy in World History (1994). Smil has incorporated an enormous amount of new material, reflecting the dramatic developments in energy studies over the last two decades and his own research over that time.